Eva was born in 1915 in Vienna, the daughter of the well-known Austrian novelist Jakob Wasserman. Driven by a private curiosity and a desire for deeper understanding of her world, Eva began to develop the gift of accessing an inner voice, at first through automatic writing and later by speaking in a trance state. In time, the inner voice took shape as the authoritative, insightful, and loving persona of the Pathwork Guide. She pursued the development of her gift with great devotion and perseverance, learning to listen and follow her guidance. Eva considered her ability to give spiritual guidance and to help people in their self-development as her life task. Eva came to the United States in 1939 and continued her work in New York, giving Guide sessions and an ongoing series of trance lectures. She was a beautiful, vibrantly alive woman with a keen intelligence who enjoyed life in all its aspects. She loved people and animals and enjoyed food, skiing, swimming, and dancing. 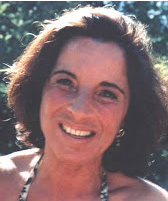 In 1971 she married psychiatrist John C. Pierrakos, one of the founders of Bioenergetics and later, Core Energetics. The energetic work became an essential part of the Pathwork and contributed to its expansion. Eva Pierrakos died in 1979, leaving behind her the rich legacy of more than two hundred Guide lectures, two flourishing Pathwork centers, and thousands of students and followers of the teachings. The “path” does not mean that you walk down a road that is already there for you. When you first decide to walk it, there is no path yet, you have to make it. You are actually a “pathfinder” in an unexplored jungle, seeking the way through wild shrubbery and growth, setting down one foot after another in a slow but steady process. In this jungle you constantly create soul forms with your thoughts, feelings, and actions.